When others cause us pain our instinctual reaction can be to lash out at our transgressors. However, we know that seeking revenge can lead us to experience additional stress, and even holding on to the hurt can compromise our well-being. In this workshop we will explore these themes and learn meditative techniques that can allow us to become a more forgiving person. This lecture will be given by Dr. Rhonda Swickert, PhD. Dr. Swickert is a professor and Associate Chair of the College of Charleston Psychology Department. Her research interests are focused on factors that promote well-being and primarily revolve around mindful awareness. Join Jennifer Robinson, from Peaceful Living Wellness, as she guides you through a unique journey of finding inner strength through the path of inner peace. Her monthly Empowered Through Peace workshops each present a new opportunity for personal growth and learning. By embracing the qualities of both mindfulness AND mindset Empowered Through Peace teaches how you can have maintain lasting mindset changes for inner strength and success through maintaining your inner peace. This workshop will set the tone for the year. We will talk about the physiology & psychology of how mindfulness practices set a solid foundation on which to build mindset. We’ll also discuss different types of mindfulness practices and set both mindfulness and mindset goals for 2019. “Busy”ness is slowly but surely harming our physical and mental health. Would you like to feel better AND get more done? How our brains become addicted to the adrenaline produced by leading a hectic life . How that can lead to adrenal fatigue. We will also discuss using a Mindfulness Success Schedule to examine your schedule and recreate it in a way that incorporates mindfulness and self-nurture. Your outcome will be that you have a new schedule full of mindfulness & self-nurture and you will find that you are actually getting more done while feeling great! We will also set group accountability to be followed through with during each monthly workshop. The Soul of Poetry, featuring Charleston poet Matthew Foley, will bring together sound healing and mystic poetry for a uniquely soulful evening. Matt will be reading his own original poems alongside work by classic spiritual poets such as Rumi, Walt Whitman, and Mary Oliver while Liz Ramirez plays a live sound bath using crystal bowls, gongs and other sacred instruments. The evening will guide you into a state of deep relaxation and meditation through vibration and spoken word. Heal Your Gut + Light Your Digestive Fire with Ayurvedic Health Counselor Caryn O'Hara and Integrative Nutrition Health Coach Dana Bufalino. This workshop provides the background on the fundamental first step in achieving and sustaining ultimate health and wellness by cleaning out the most important container: our body! With proper understanding of your unique health needs, you can make simple adjustments to your day-to-day routine that offers you freedom in your body, lightness in your heart, and music your the soul. Caryn and Dana will guide you through understanding the basic needs of the gut/microbiome for a radiant spring. And make sure you achieve it by increasing the fire element in the food you eat and upping the nourishment you receive from your lifestyle choices. Be prepared to enjoy a plant-based cleansing experience for the largest organ: the skin! You will leave feeling clear and supported in what your body and mind need this season to thrive. Please bring a notebook, pen, and open mind. Join us on Sunday, March 31st from 10:15-10:45am for a special coffee meditation with Sean Papa of Second State Coffee! This is a great FREE meditation for beginners and anyone who loves to kick off their morning practice with a great cup of coffee. When you decide to learn about your past life experiences, you are entering into a high level of spiritual enlightenment. You can achieve this with an open mind and open heart. All you need is your desire for higher knowledge. 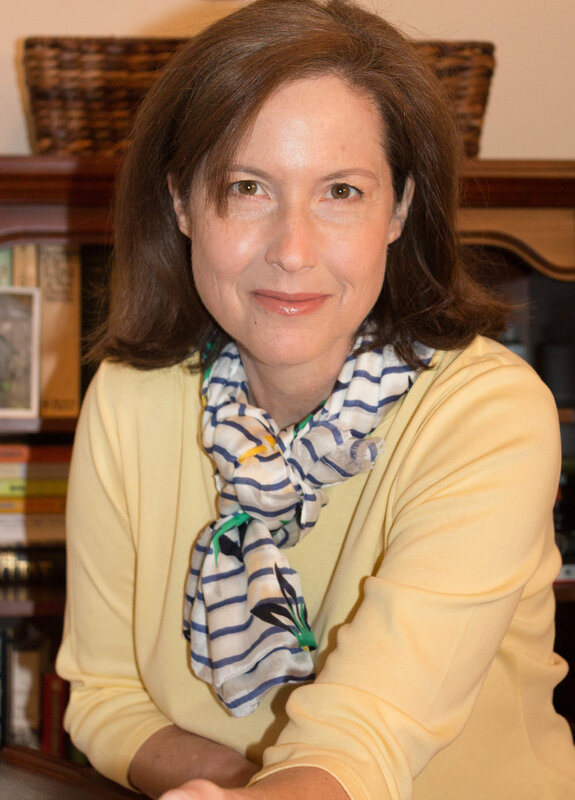 Hillary Evans, Certified Clinical hypnotherapist, and Certified Transpersonal Hypnotherapist will be your guide, but the journey is all about you. In your relaxed state, she will lead you to find the memories that you never knew existed. From there, she will guide you through them so that you will be able to extract your memories to gain insight –– you can use this information to help you continue to learn about your life and make decisions for the present. Join Caryn & Elli for our next Full Moon ceremony! 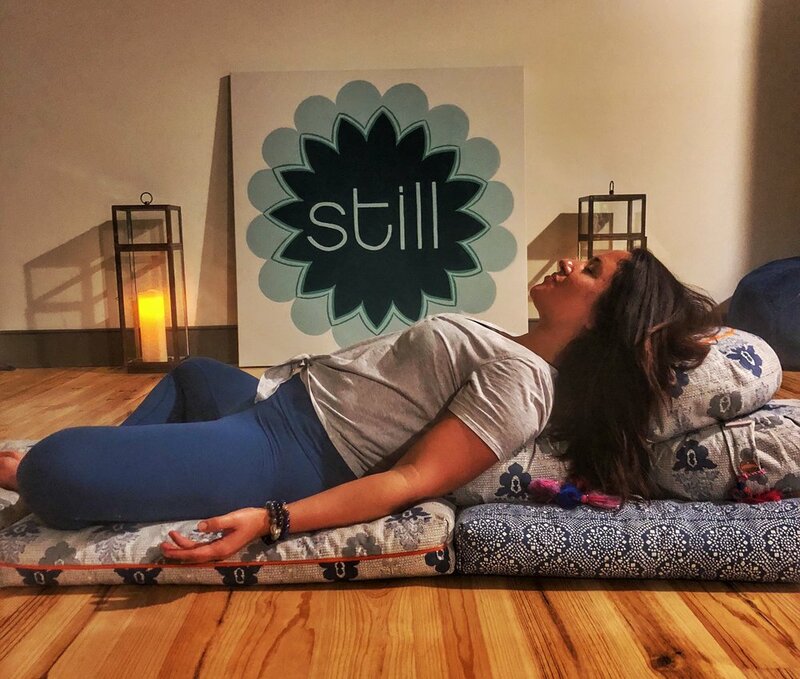 Spring detox your Mind & Energy body with powerful Breathwork, truth bringing journaling, and healing sound bath with guided subconscious clearing. At one time or another we all have to interact with difficult people. This workshop will explore a variety of techniques, including meditative practices that we can employ, to protect ourselves and perhaps help that difficult person with their issues, too! This event is part of our ongoing lecture series in conjunction with Dr. Rhonda Swickert of the College of Charleston Psychology Department. The intention of this series is to bring to light the neurological and psychological tenants of meditation practices while simultaneously offering concrete tools to begin a regular practice. Join us for an ongoing workshop series focused on the sacred art of chanting. This series will include professional voice lessons as well as mantra meanings and uses. It will be led by Caroline Scruggs, a classically trained vocalist, and Liz Ramirez, a sound healing practitioner. Jennifer, “Jen,” spent years learning yoga and meditation techniques that support relaxation, serenity and joy. She is a Registered Yoga Teacher, a Certified Meditation Teacher, a Master Reiki Energy Healer, and a Certified Wellness Coach. Jen studied stress-management, primordial sound meditation and natural healing at the Deepak Chopra Center in Carlsbad, CA and at the Natural Healing Institute in Encinitas, CA. The NHI, Encinitas is also where she completed her 200-hour Registered Yoga and Somatic Movement Teacher certification. To round out her training Jen obtained a certification as a Guiding Mindful Change Wellness coach. She has also studied the works of Thich Nhat Han, Jon Kabat Zinn, Andrew Weil, Louise Hay and Wayne Dyer, among many others. She incorporates the expertise of many into her practice as a wellness coach, yoga teacher and Reiki master. Jen uses her Signature Empowered Through Peace Coaching curriculum to teach clients techniques for stress-management and living a peaceful, balanced, joyful life and to support them in creating a life plan based on their personal values and desires. She firmly believes, not only from her own life experience, but also from the study of empirical research, that we must lower our stress levels in order to find our inner strength and power. Join Caryn and Elli for an evening of meditation, journaling, and sound healing. The supermoon in Virgo naturally sets health and organization as our priority. It's the perfect time to get present and notice what is creating dullness in our lives/homes/relationships/career. We will guide you through clarifying questions to identify the blocks, and you will be guided through a powerful Sound Bath Meditation to clear and release the blocks we identify together. Simplifying is important at this time, so during this month's Full Moon Gathering we will harness the energy of less is more! Come join Moon Mother Alexandra Ann for the Worldwide Womb Blessing Tuesday, February 19th at 6:30pm. Lucid dreaming allows us to control the content of our own dreams which means our dreams are only limited by boundaries by our imagination. You want to fly through the sky or visit another country – anything is possible! On a more serious note, lucid dreaming is also believed to be an effective tool for the promotion of self-awareness as well as for engaging in shadow work. This workshop will explore techniques that one can utilize, including meditation, to facilitate lucid dreaming. This workshop will be led by Dr. Rhonda Swickert of the College of Charleston Psychology Department. 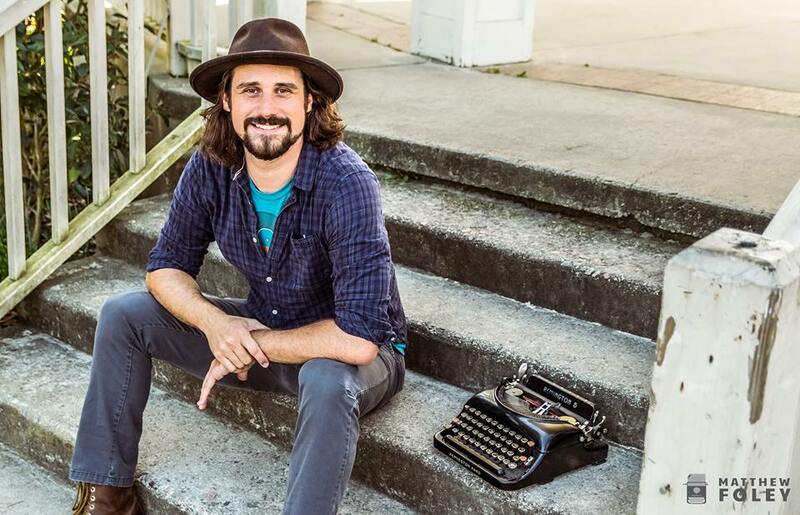 The Soul of Poetry, featuring Charleston poet Matthew Foley, will bring together music, meditation, and mystic poetry for a uniquely soulful evening. Interspersed between periods of meditation, Matt will be reading his own original poems alongside work by classic spiritual poets such as Rumi, Walt Whitman, and Mary Oliver. The evening will conclude with a live sound bath. Copies of Matt’s poetry collection This One Breath will be available for purchase. Light refreshments will be provided. Join us on Thursday, February 14th for a special live sound bath celebrating Valentine's Day! Bring a friend, a partner, a parent, a colleague, or even just a stranger and come kick off your Valentine's Day right. This sound bath will take place from 5:30-6:30pm so that you can still make dinner plans after— it's the perfect way to get your evening started! This sound bath costs $44 per pair. Only one person per each pair needs to register. We are so excited to host Kennedy Oneself, of Asheville, North Carolina's Soul Medicine Vibrations, as he stops in Charleston on his sound healing tour! Kennedy's Sound Healing is a profoundly potent symphonic orchestration of acoustic vibration that guides us to the stillness that exists beyond all thoughts. You are invited to relax and simply be. Come and listen without any effort of any kind. When you can listen with conscious alertness, just noticing the melodically pulsating conversation, meditation comes on it's own. Not trying to clear the mind of thoughts...becoming a witness to all that rises and falls. This sound healing is like nothing you've ever experienced. Kennedy weaves vibrations so fluidly people often imagine three musicians (Or that he has 6 arms). Deeply witnessing the resonating vibrations of Didgeridoos, crystal and tibetan singing bowls & bells, Gongs, Flutes (Chinese, Indian, American, Harmony, Drone), Handpan, Asian Harp, Kalimba, the Unity Harp and more, stillness descends upon the mind, and we bask in the glorious moment that is now. Learn about the game-changing duo of Ayurveda X Integrative Nutrition in a comfy, cozy space. The mind’s nature is to be constantly in motion and this means we often are in a state of agitation and suffering. This workshop will explore why that is and we will discuss a variety of meditative techniques that can serve not only to quiet the mind, but to also allow us to consciously direct the mind with a sense of purpose. Join us for a powerful Cacao Ceremony and Full Moon Ritual to celebrate the super moon, lunar eclipse, and first full moon of the year, and honor endings and new beginnings. The lunar eclipse can be observed on the night of the 20th to 21st, and we can harness its powerful energy in the days that follow. We begin the powerful 90 minute ceremony by connecting to ourselves and each other, and letting go of egocentric blocks. Then we will enjoy a heart opening sacred Cacao drink together. After, we will lay down on comfortable pillows and enjoy deep relaxation, letting our consciousness expand and our brains enter a deep state of meditation. We end the ceremony with a Kundalini Kriya and movement to ground this new awareness so it may support your New Years intentions and crystal meditation so you can carry these intentions with you all year long. Caryn, Elli, and Pixi have curated this experience for you so that you can raise your vibrations, step into your power, and feel unapologetically yourself so you can manifest with grace, power, and clarity. Would you like to learn more about the Pendulum — how and why it can work for you in everyday life? Receive your own answers to life’s questions easily and quickly with this simple tool. The key points to success when using this ancient divination tool. How to choose the best pendulum. Blessing and training the Pendulum you use. A pendulum + instructional worksheet to use and take home. Join us this Sunday evening for a special holiday open house with our downstairs neighbors at Trager Contemporary Art Gallery! We'll be celebrating the night before the night before Christmas with relaxation, celebration, and libation, including a special with a guided relaxation experience, followed by refreshments and socializing downstairs. Reserve your spot online now or pay $15 at the door. Based on the teachings of Judith Hanson Lasater (PhD, PT) this 2 hour class will move the body through a series of fully supported poses, gently moving the spine in all directions as well as placing the body in a supported inversion. Hot stones will be placed on the body to deeply soothe and nourish. Ursel Harmon (E-RYT 500 hrs,YACEP) and Natasha Stevens (E-RYT 200 hrs) have over 20 years of combined teaching experience. They met whilst completing a 5 day Restorative Yoga Teacher Training with Judith Hanson Lasater. Join Marcie Anderson, PhD for the next series workshop in this Five Elements; Sky. What greatness is hidden in the sky? Is there a limit to this element? Gain the ability to communicate with your soul through practical knowledge in specific mantra. The potentiality to connect to Source is hidden in the silence. Vast amounts of angels are hidden in the sky element. Although there is much for us to be grateful for, it is often hard for to the mind to see this clearly. We will discuss why that is the case and learn meditative and gratefulness practices that can change the way we live our lives by enhancing our ability to see the good in the world. Join Still Studio’s Caryn O’Hara and Elli Richter for a Full Moon Ritual at Sullivan’s Island. A clearing and cleansing all levels Yoga Practice by Elli, followed by a grounding and centering Meditation by Caryn. We are celebrating the Abundance of the Year before the scarcity of the Winter. The Full Moon brings clarity about what stays and what goes. Being in the fixed sign of Taurus, the nature loving and playful Earth Sign, it is all about being open and trusting in this change and transformation that is happening for all of us. Centered around relationships and finances, it is a great day to be together in community.